Injuries are bad luck for Liverpool, but could they be the good fortune Naby Keita needs after slow start? Scott Swanson believes that may be the case. It was this all-action style that saw Jurgen Klopp desperate to acquire his services in time for the 2017/18 season, but Leipzig management wouldn’t cave. Always the patient type, Klopp got his man eventually as Liverpool made Keita the world’s most-expensive African player, albeit for the following campaign. Scouting reports and even the eye test dialled in on his dynamism and versatility. He can tackle, take on defenders, switch the play, transition quickly and dictate his side’s tempo. Just watch the young man play and you could see the wide-ranging abilities that enamoured the Schalke director and Klopp as well. Such a unique and valuable combination was supposed to be the missing piece in Liverpool’s midfield. In the second half of last season, we saw how a midfielder with the ability to break lines with pace could transform our midfield, helping secure top four and a Champions League final in the process. 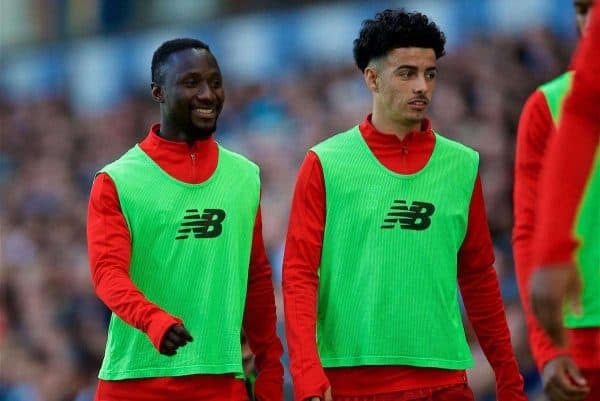 Keita’s ability to play across the midfield meant he would challenge Alex Oxlade-Chamberlain for that role, or play deeper as he did at Leipzig and afford Klopp two of the most physically gifted midfielders in England. However, after the injury to Ox and the acquisition of Fabinho from Monaco last summer, it appeared the position vacated by the No. 21’s long-term injury would be Naby’s for the taking in 2018/19. 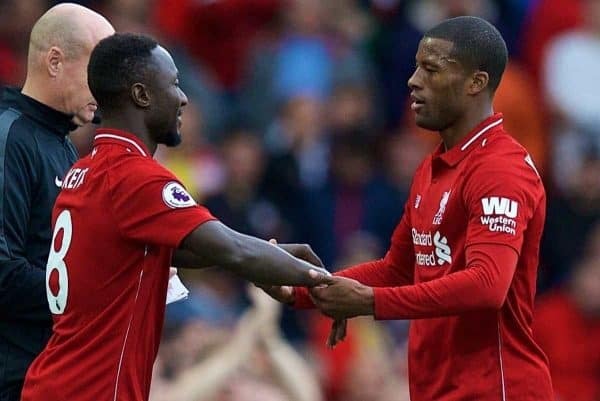 Just as Ox’s injury would mean we’d have to wait to see the duo’s dynamism together in action, Keita’s underwhelming start to his life on Merseyside means Liverpool supporters have only seen his dynamic attributes in flashes this season. Keita began the campaign in the first XI and started all three matches in August before the international break. There were glimpses of a world-beater at times: firstly, the key pass before Andy Robertson’s assist against West Ham, where his dribbling bypassed the Hammers’ midfield like they were training cones. Then, there was the out-of-this-world turn and then pass to put Mo Salah through one-on-one with the ‘keeper against Crystal Palace. 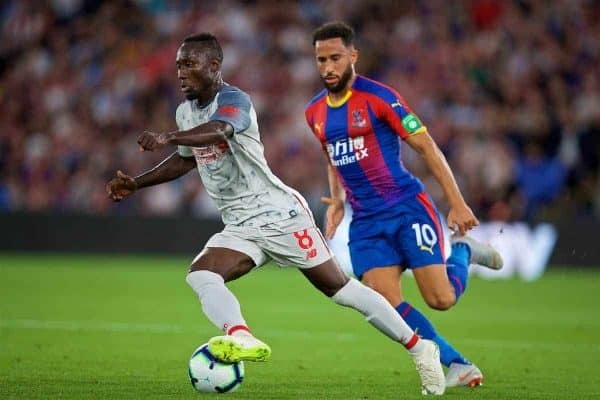 So outrageous the skill, it prompted fans on social media to remind Keita to “think about the player’s family,” a tongue-in-cheek remark about the abusive levels of skill displayed against Andros Townsend. Unfortunately, what looked like a solid, yet unspectacular start to the Guinean’s season would actually turn out to be one of his shining moments in an underwhelming first half of 2018/19. 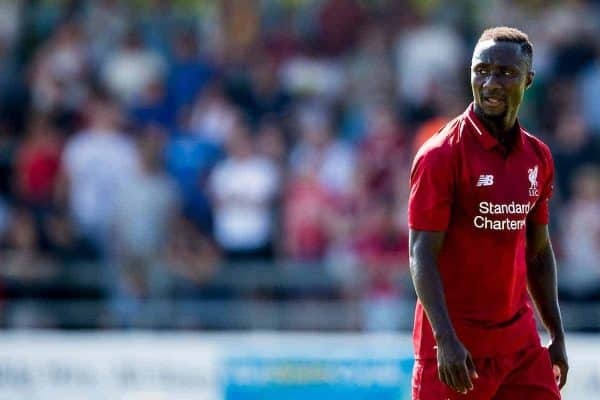 Naby would start just three matches during September and October: Spurs away, Man City at home and Napoli away, where he was taken off through injury in the 19th minute. He was resigned to sporadic minutes as Klopp preferred the tried-and-trusted midfield of Gini Wijnaldum, Jordan Henderson and James Milner—the same midfield that propelled Liverpool to the Champions League final. 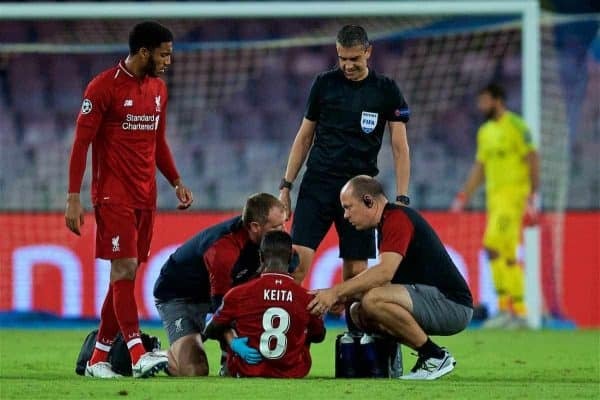 An injury on international duty in October meant Keita wasn’t fit enough to make the bench again until Liverpool went away to Red Star on November 6. He was an unused substitute in the loss that almost derailed his side’s Champions League aspirations at the group stage. Injury and a loss of form meant he wouldn’t start another match until December 5 against Burnley—almost two months since his last start. Burnley was hands-down his best performance of the season, and it was followed by three starts in a row. But there would be no opportunity to build upon that run. Keita would not play a solitary minute in the three matches from Boxing Day till Man City on January 3, before entering in stoppage time against Brighton. He wasn’t injured over the festive period, either. His exclusion was the manager’s decision. Things were not going according to plan. I assumed that Keita’s athletic prowess would be enough to keep him in Klopp’s starting XI while he learned the intricacies and requirements of the system. At Leipzig, the demands of his position there would not be altogether different from Klopp’s expectations at Liverpool. Whatever he lacked in positional awareness, his pace and quick reactions along with help from Gini and captain Henderson would work him over time into an effective cog in the midfield. Effectively, he’d be learning on the job. For the most part, this went according to plan until the injuries derailed most of the first half of his season. He did start in big matches against Spurs, City and Napoli, but was unused against PSG and Chelsea before the injury during the break. Klopp favours a consistent midfield in his side’s big match-ups, so Keita hadn’t shown enough to lodge himself into the manager’s best XI for the crunch fixtures. He’s in a Catch-22 situation much like Bernardo Silva at City last season. Silva showed odd glimpses of quality but was unable to nail down a role because his team was performing at an extremely high level. Silva not being fully adapted meant he couldn’t get the required time on the pitch needed to learn his role. Silva is now fully integrated and consistent starter in our title rivals’ first XI. But it took Silva a full season and another pre-season before it clicked. He’s trusted in the biggest of matches and repaid Pep’s faith with a stellar performance against Liverpool at the Etihad. This season, he’s already totalled 2,184 minutes on the pitch for City; last season overall, it was 2,795. Guardiola didn’t mess with a winning formula last season, nor would I expect Klopp to do so either. I’m positive Keita’s story will play out similar next season, but we could really do with it now. With Trent out for four weeks, my guess is Milner moves to right-back until Joe Gomez is healthy or Trent returns. There is a possibility of Fabinho slotting in at right-back since he plays there for the Brazil national team. However, with Wijnaldum a doubt for Saturday, Fabinho will be needed in midfield alongside Henderson. Fortunately, none of our injuries of late are long-term and we’ve performed well despite them. Yet I can’t help but think they come at a good time for Keita. Much of Keita’s exclusion has been due to the inclusion of Xherdan Shaqiri in the starting 11. Klopp has preferred four attackers at home against those outside the top six, but if Milner moves to right-back and Gini isn’t fit, there’s a hole in midfield to fill. This, coupled with the counter-attacking threat from Palace on Saturday, should mean Keita gets the nod. Plus, he performed well against them at Selhurst Park early in the season. 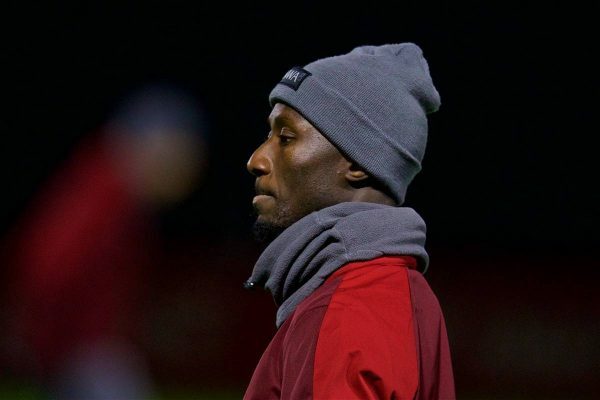 In an unfamiliar land, with an unfamiliar language, maybe taking on a team you’ve performed well against already could trigger some muscle memory in Keita. He desperately needs a run of games to find his feet now, or we may have to wait until next season for the fully-realised version, like City had to with Bernardo. His first half has been full of stops and starts, but with the injuries piling up, Keita must take his chance that I believe Klopp will give him. 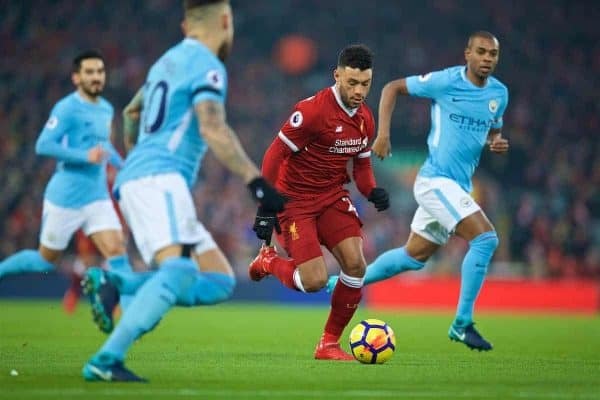 We’ve already seen the results of what patience, an eye for a player and coaching can do for the likes of Robertson, Fabinho and Oxlade-Chamberlain. 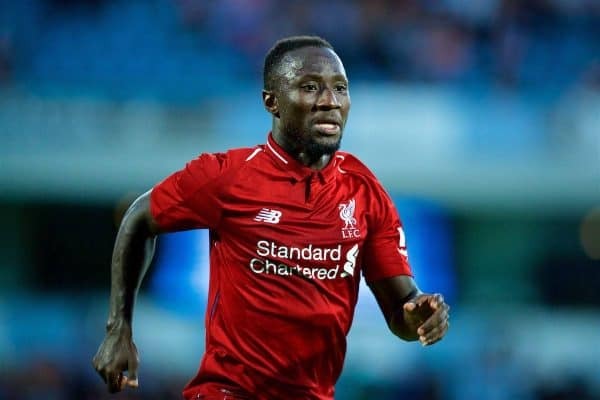 Klopp has given Keita time to adapt, but after chasing the player for years, he’s probably just as ready as supporters are to see what this “incomprehensible” talent can do.